You’re here because you want to raise money for a cause that is close to your heart, but you aren’t sure where to start. Consider crowdfunding! It’s more than a 12-letter buzzword. Crowdfunding is the practice of raising small amounts of money from a large number of people, typically online. Instead of relying on buy-in from a very small pool of wealthy donors or institutions, successful crowdfunders tap into the power of many. In 2002 when GlobalGiving created the first nonprofit crowdfunding platform, we turned traditional fundraising on its head and unleashed the potential of anyone, anywhere, at any time to make the world a better place. Today, there are almost too many crowdfunding platforms to count, and the market for the crowdfunding in developing countries alone is expected to top $96 billion annually by 2025, according to the World Bank. Arlington Academy of Hope students pose for the camera. Imagine a sea of strangers who wake up determined to donate to a good cause. Somehow, they stumble across the one that is closest to your heart on the Internet, immediately understand its worth, and make a donation before the day comes to a close. Specific: Describe exactly what you’d like to achieve. Measurable: Quantify your fundraising goal. Actionable: Specify what actions you will take to achieve your goal. Realistic: Be ambitious, but don’t set a goal that you can’t realistically achieve with your available resources. Time-Bound: Schedule a campaign start and end date to create a sense of urgency and motivate yourself and your donors. Nonprofit: Arlington Academy of Hope, Inc.
2. Pick the right platform. 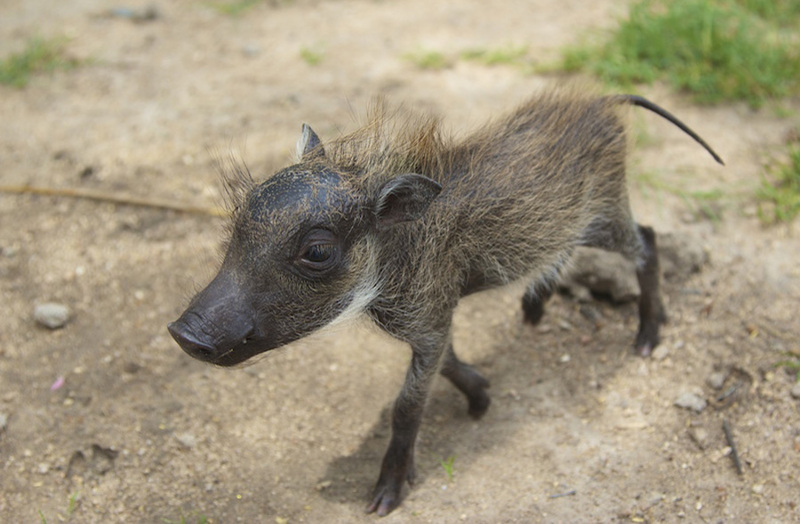 A baby warthog on a mission at DAKTARI Wildlife Orphanage. There are hundreds of crowdfunding options on the Internet! It’s important to pick the right one for your campaign. We recommend comparing five key areas before you commit: structure, fees, features, reach, and reputation. Learn more about how to compare platforms in this article. 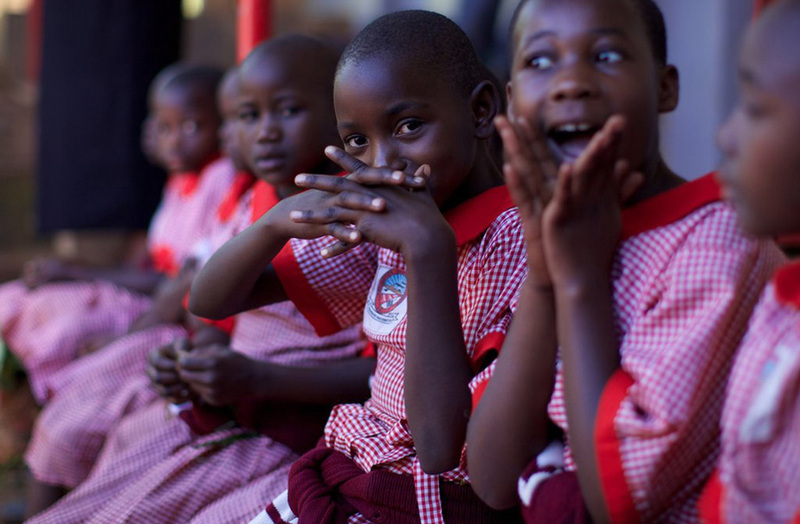 Background: DAKTARI Bush School & Wildlife Orphanage was on the verge of closure when its founders came across GlobalGiving. The founders selected GlobalGiving as their crowdfunding platform because of its specialized training and one-on-one support for nonprofits with no prior crowdfunding experience. They were also impressed with GlobalGiving’s vast network of American donors. 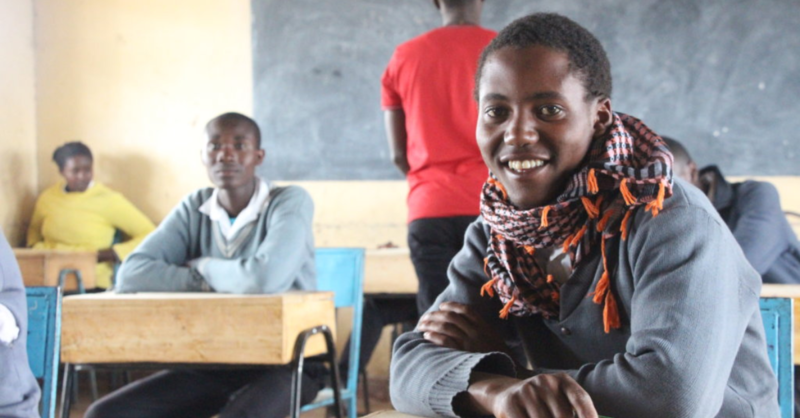 In 2008, DAKTARI joined a GlobalGiving virtual crowdfunding training program, which took it step-by-step through its first crowdfunding campaign. “We had no strategy heading into the challenge,” says Michèle, but, “GlobalGiving was very present and gave us the support to help us develop the technique and knowledge of fundraising that we didn’t have.” GlobalGiving is now a crucial funding source for the nonprofit, which celebrated its 10-year anniversary with GlobalGiving by its side in 2016. Kupona Foundation wants to end maternal and neonatal mortality in Tanzania. Once you’ve selected the best platform for your crowdfunding campaign, craft a story about your campaign that has the power to inspire donations. Our experience shows that stories about single individuals told in first person are more powerful motivators than statistics or stories about groups of people. As you write content for your crowdfunding project, focus on why the project matters to you or explain the impact of reaching your goal on your life or someone else’s. Background: It took Alison five days and six nights to bring her daughter into the world. 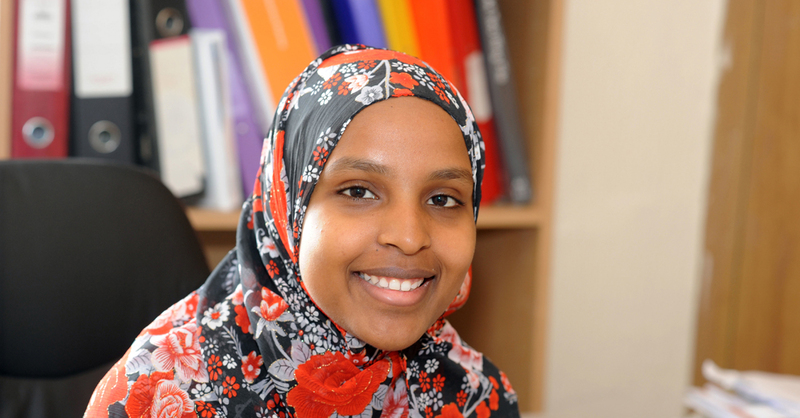 “Not for a second did I worry about access to medical help if I needed it. 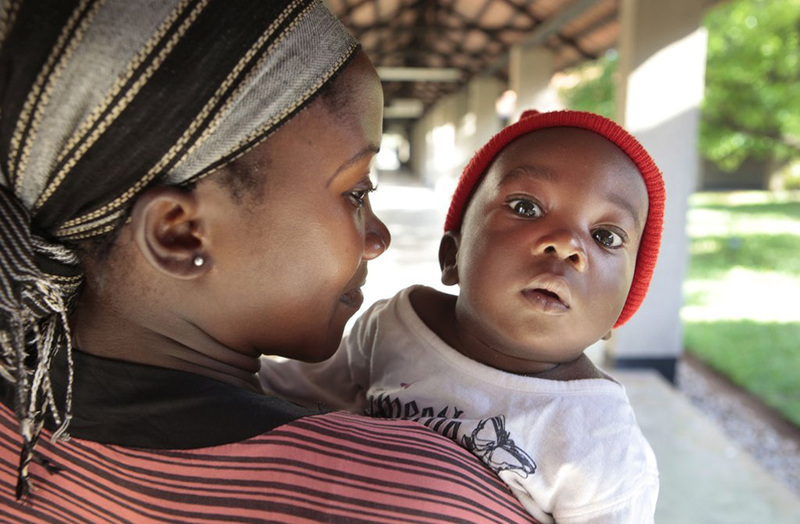 One year later, I can’t help but think of other moms—those with high-risk pregnancies—who don’t have access to the life-saving care they need.” Alison relied on her experience as a new mother to motivate her friends and family to help build a maternity ward for at-risk mothers and babies in Tanzania, one of the most dangerous places in the world to give birth. She created a fundraising page on GlobalGiving, and she asked her friends and family to donate $1 for every hour that they (or a loved one) labored, or give a dime for each of her 131 hours in labor. Her candid story about her labor of love inspired 55 donors to give to her cause! 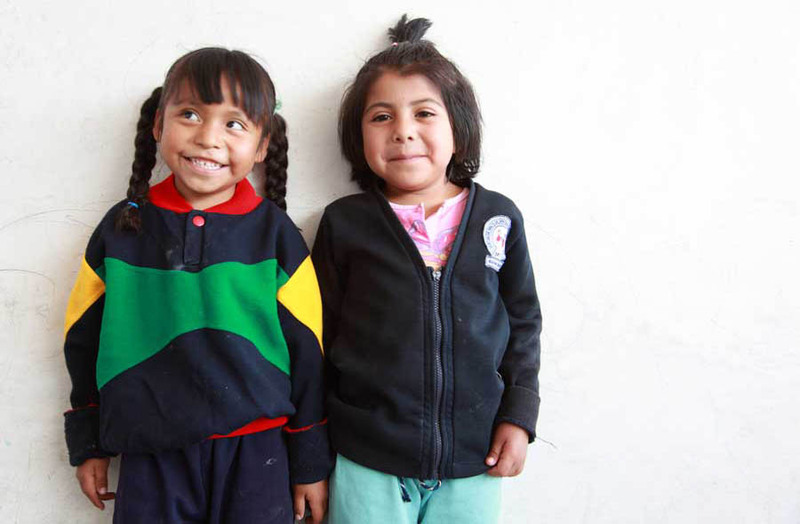 Two young participants of an IMIFAP drug prevention program for indigenous children in Chiapas, Mexico. Here’s the good news: You already know the people who are most likely to donate to your cause—they are your friends, family, colleagues, and acquaintances! Focus on how to inspire the people around you to donate to your cause, and invite them to reach out to their networks on your behalf. Successful crowdfunders often pair up with friends or assemble fundraising teams to amplify their reach. To get started, create a list of people you know. Begin with the people who are closest to you and expand. The bigger your list, the better (so don’t overlook people like your doctor or a neighbor). Write down names, phone numbers, emails, and mailing addresses, and plan to reach out to each person in a few different ways throughout your crowdfunding campaign. Crowdfunding experts sometimes refer to this step as network mapping. Remember to include a clear ask for a donation, no matter the method of your outreach. Background: IMIFAP raised $21,443 from 136 donors in less than one month! They key to the nonprofit’s success? Its 35 staff members. Before IMIFAP launched its crowdfunding project, Shoshana, a project leader, helped her co-workers’ map their networks and coached them on how to ask for money. This process yielded lots of small donations. The president and vice president of IMIFAP also contributed by asking for higher-level donations from their networks. To celebrate its graduation from GlobalGiving Accelerator, a crowdfunding training program, Marpha Foundation shared student art on Facebook. Be ready to ask for donations from your target audience in multiple ways throughout your crowdfunding campaign. To determine what and where to share, know your audience! It will be much easier to motivate your donors if you know where they spend their time and what type of content appeals to them. Do they shop at a specific store or socialize at an annual workshop or festival? Try a joint fundraising event. Diversify your campaign by developing a digital outreach plan, too. Think about what time of day your target audience is likely to read emails, and craft emails that will catch their attention (get more email tips here). Also, know which social media platforms your audience uses. Facebook? Twitter? LinkedIn? Instagram? Spend a few weeks listening to what resonates with your target audience on social media before you map out what you’ll share about your crowdfunding campaign. 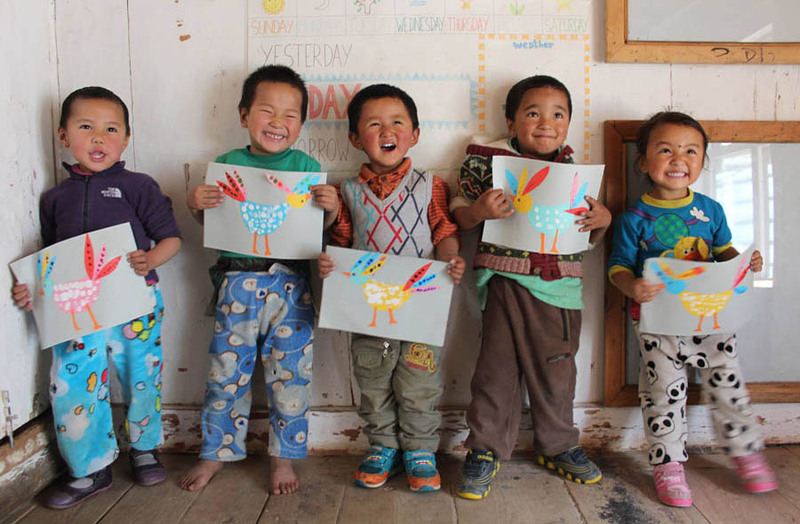 Background: Marpha Foundation raised $7,064 from 87 donors within one month to enrich its kindergarten education program in mountainous Mustang, Nepal. The nonprofit relied on email and social media to reach donors. On its Facebook page, the nonprofit paired high-quality, colorful photos of its students with short, urgent fundraising updates. “SOOOOO CLOSE! 2 days left, $775 to go. DONATE TODAY,” read one update. The strategy paid off: 39 percent of donations to the foundation’s kindergarten project came through Facebook. 6. Be creative and courageous. This little bandicoot, saved by Conservation Volunteers Australia, isn’t afraid of the spotlight. Successful crowdfunders fail (it’s true), but they have the courage to experiment with bold, creative ideas (continuously), collect feedback about what’s working (and what’s not), and change course (if needed). There are so many creative ways to fundraise! One Atlas Corps volunteer promised to ride his bike from Washington, D.C., to Great Falls, Va., (about 18 miles) in his underwear if 100 of his friends donated to his project. Here’s a video to prove it. Thousands of women all over the world have raised more than $1.5 million to end human trafficking through the Dressember campaign. The women commit to wearing a dress every day in December and ask their friends to support their commitment with a donation. Experiment with creative tactics that will appeal to your network. Once you settle on a tactic, track your results and test new ideas. Be prepared to adjust if necessary to achieve success. Try varied email subject headlines, social media content, and fundraising approaches to identify what works and why. Use what you learn to improve your current and future crowdfunding campaigns. In short, never settle! Background: Conservation Volunteers Australia wants more people to care about what happens to Eastern Barred Bandicoots. The rabbit-sized marsupial is critically endangered—only 1,500 remain on mainland Australia. 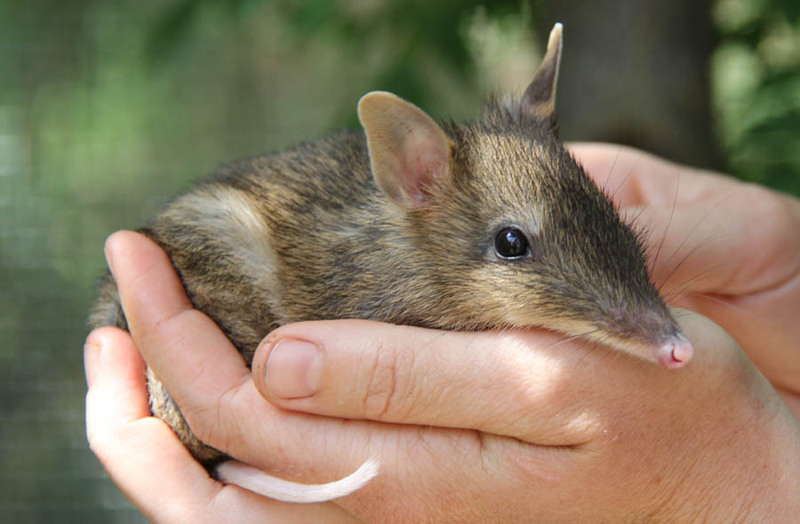 Conservation Volunteers Australia connects the crowd with bandicoots through creative videos like this one, which brings viewers along for the release of 20 adorable bandicoots into newly protected grasslands. The video has more than 7,700 views. The nonprofit has now raised enough money on GlobalGiving to protect 77 acres of bandicoot habitat! 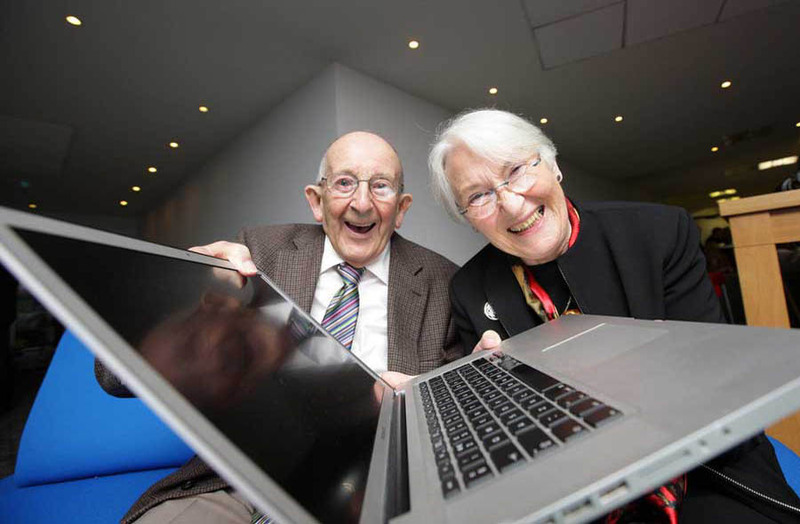 Age Action Ireland turned to GlobalGiving for help crowdfunding a project to equip senior citizens with IT skills. Thanking and appreciating your donors is absolutely vital. One study found that 45 percent of donors said that an “outstanding thank you letter” inspired them to give again; 23 percent said that the quality of the acknowledgement they received encouraged them to make a larger donation the second time. After you receive a donation, follow up with a thank you as soon as possible. Make your thank you as personal as possible, and illustrate the impact of the donation in your life or the life of someone your donor sought to help. Want to create a thank you video? Try this free tool from Imprint. Background: Age Action Ireland doesn’t just tell donors about their impact. They show them. In a project report on GlobalGiving, the nonprofit shared photos of handwritten notes from students of its IT course for senior citizens. “I arrived terrified—yes really! And am now confident I can use my home computer. Wonderful! 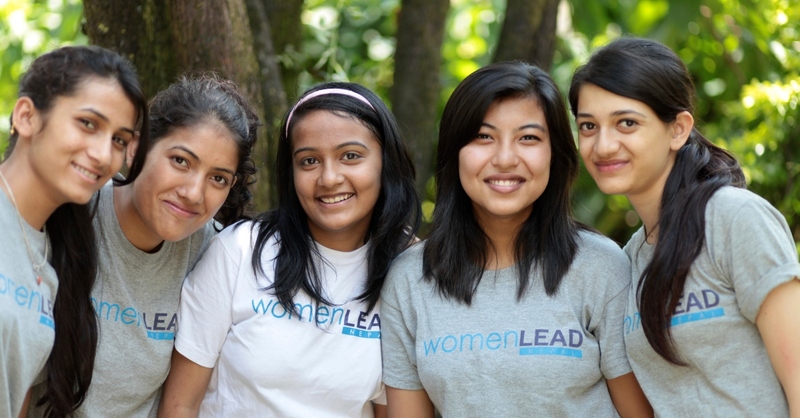 A new lease on life,” one graduate wrote. That’s enough to make any donor’s heart melt. Ready to take your crowdfunding to the next level? Download our full crowdfunding guide to get more tips, and don’t miss the application deadline for the Accelerator, our free crowdfunding training program.